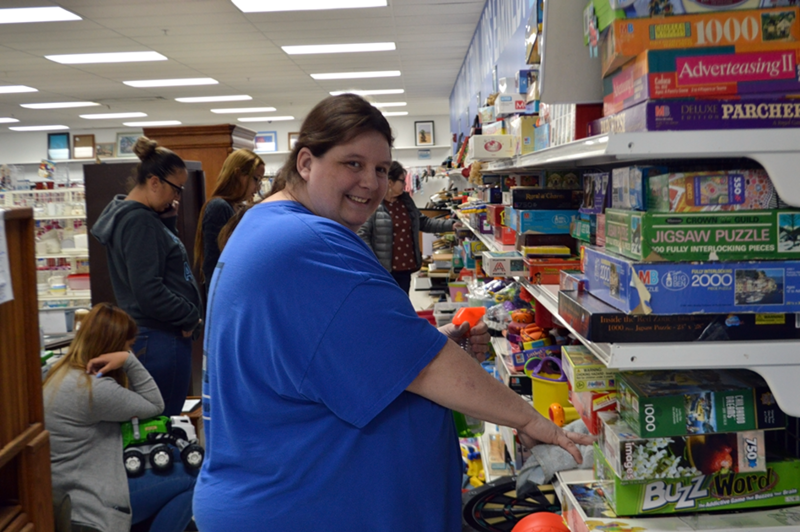 Inside the East Des Moines Goodwill store, Heather works her way through cleaning the shelves. She warmly greets every person she sees and strikes up conversations with all of the regulars. She is a fountain of positivity. The skills training she received at Goodwill of Central Iowa as well as her current position with the retail store has granted her confidence, self-esteem and a life that used to seem impossible to her. 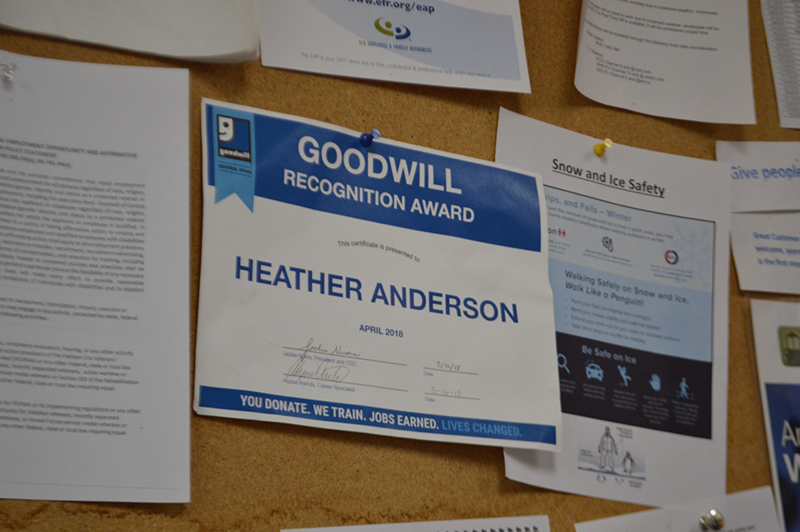 In 2015, Heather joined a workforce development program at Goodwill in an effort to gain the skills needed for employment. While she was learning how to be a good employee, she was also growing complacent in her position. It was a place where she could get paid for her training and socialize with others, but she lost sight of her goal to get a permanent job and doubted her abilities. 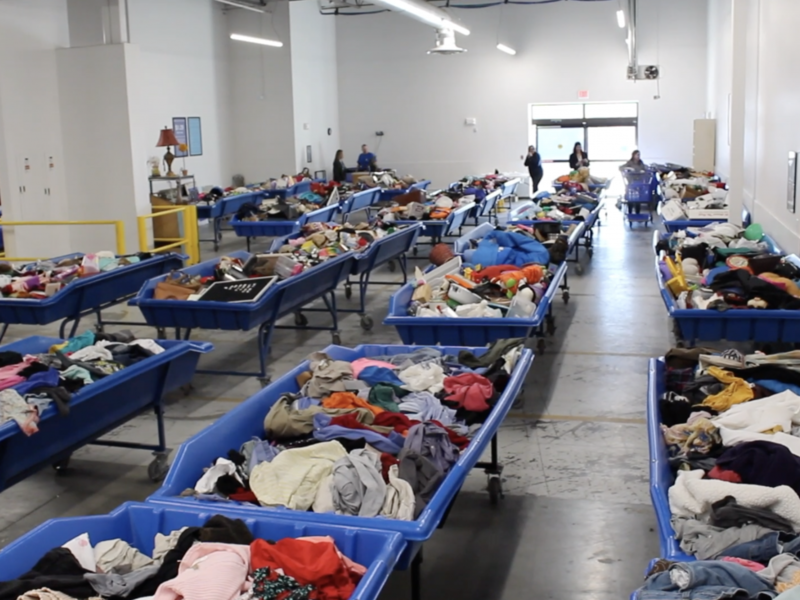 Around this time, Goodwill of Central Iowa decided to revamp its programming into more efficient and focused curriculum, which meant Heather would have to move out of her comfortable situation and into the unknown. 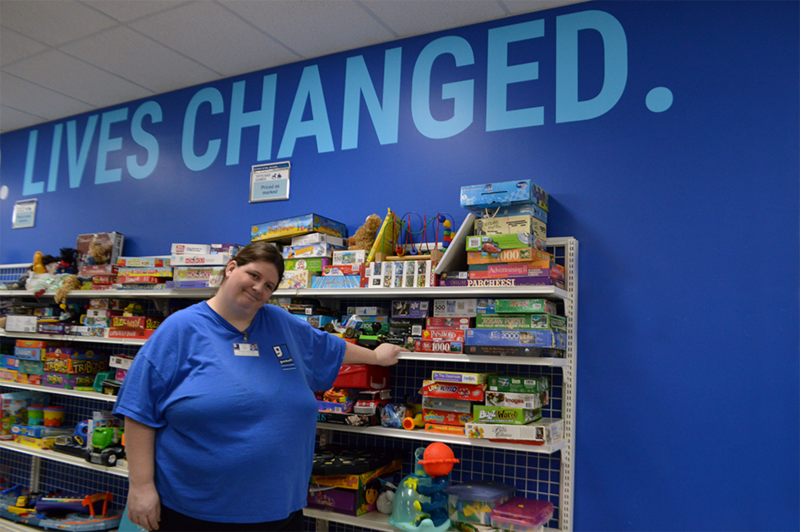 Goodwill’s Intake and Information Coordinator Kevin Lord knew right off the bat that Heather would thrive in the new Retail Skills Training Program. Heather would come in and talk with Kevin and get excited to enter the program. Then she would go home and start to doubt herself again. She worried that she didn’t have what it took to succeed. This process repeated itself for more than a month. Kevin reassured her that she would have support every step of the way, eventually leading her to commit. Heather quickly became a superstar in the program but continued to let her self-perceived failures overshadow her success. Heather would internalize any bump in the road as a failure. Retail Skills Trainer Rodney Tomlinson would introduce new tasks, and she would worry that she couldn’t do it, only to then proceed perform well. The average class size in the retail training program is five people which allows Rodney to tailor the education to each participant. With Heather, he taught her practical skills through hands-on training and soft skills like communication, teamwork and problem solving in a classroom setting. 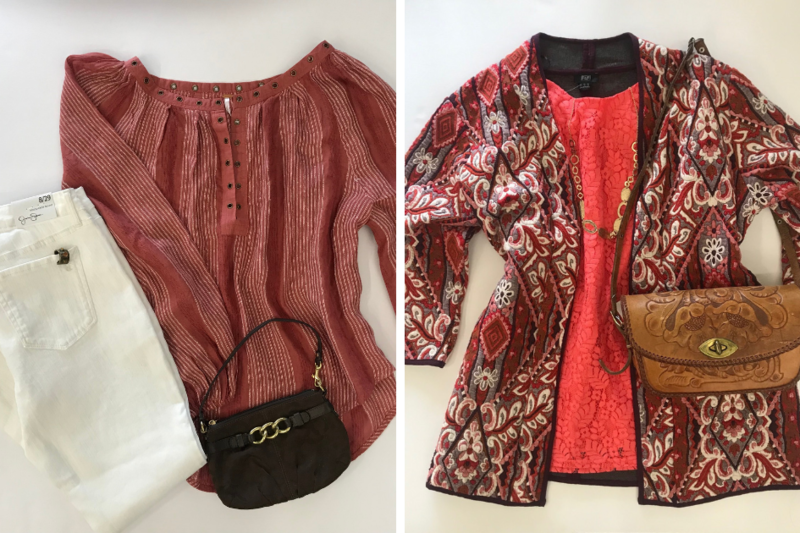 Through her hard work and perseverance, Heather earned her RISE Up certification, an industry-recognized standard, and graduated the retail program. This month, Heather will be celebrating her first full year of employment. She gained confidence and a better life for herself and Goodwill gained a great asset. On top of her newfound self-esteem, she was able to move into her own apartment for the first time. Heather just needed a small push and unwavering support from the mission services team, and she credits Goodwill with getting her a job. 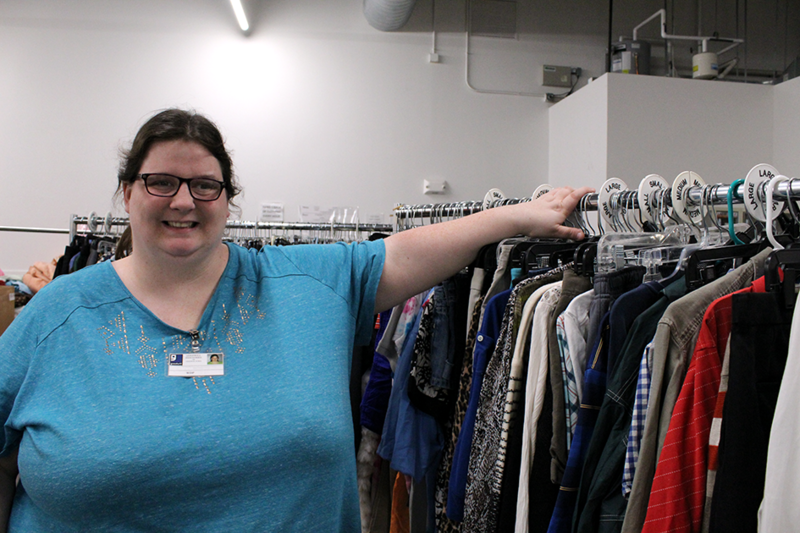 When you donate and shop at Goodwill of Central Iowa, you make successes like Heather’s possible. 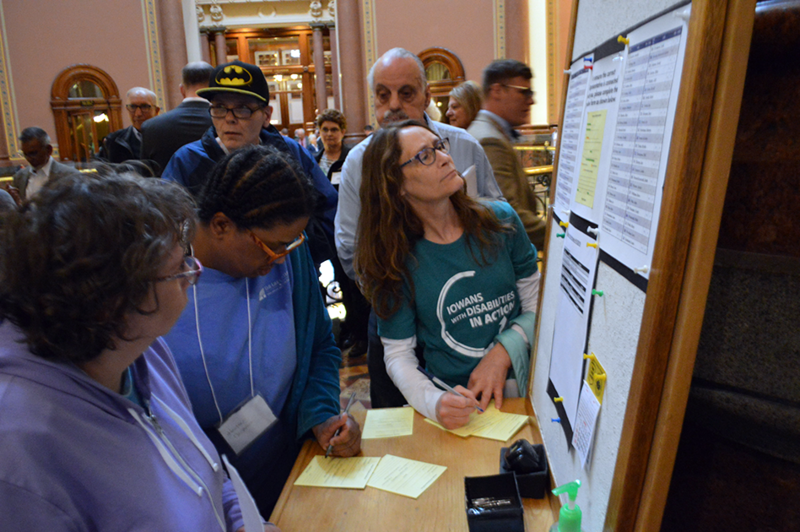 In fact, 85 cents of every dollar earned in our retail stores and through shopgoodwill.com supports our mission of improving the quality of life for all individuals by providing skills training and helping people find jobs. Find the location closest to you or make a monetary donation to show your support.